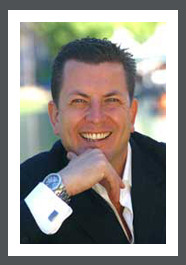 Internationally acclaimed lifestyle and wealth strategist, Christopher Howard is a best-selling author, prominent speaker and CEO of the Academy of Wealth and Achievement. For almost two decades, Chris has researched the success strategies of the world’s greatest business, philanthropic and spiritual minds. His extensive knowledge is shared through his books, home study courses and public seminars worldwide. As a result, Chris Howard has helped hundreds of thousands of individuals create the wealth and engineer the lifestyle they truly desire. With operations in the United States, Australia, England, Ireland, New Zealand and further expansion scheduled for Europe and South East Asia. Christopher Howard Training has become one of the fastest growing personal development training companies in the world. As a social entrepreneur, Chris Howard has made a philanthropic impact in developing nations worldwide. His endeavors include building a high school in the Huilloq Community in Peru where previously education stopped after the primary school level. He brought a group of 30 coaches and mentors to work with hundreds of students at CIDA, the first free university in South Africa supported by the likes of Oprah, Nelson Mandela and Richard Branson. In Cambodia Chris helps raise awareness for the campaigns of social enterprise Friends International by sharing their messages throughout his global networks. In addition to his own contributions to the Lotus Children’s Centre in Mongolia, Chris also continues to share information about their sponsor-a-child campaign so others can follow. Chris travels the world extensively as he shares the gift of transformation through education and entrepreneurial means.